Can I travel while my amendment is in progress? If yes, then how do I approach visa stamping? Experts, I am on H4 and working on EAD. My employer already filed an H1-B for me and I am waiting for the result of H1-B petition.My spouse has a urgent family matter and need to leave the country. My employer's attorneys are asking me not to leave the country till we get an answer on the H1-B petition. My questions are as follows. 1) Can my spouse go by himself and go for his H1-B stamping? 2) Can I stay in US and wait for the I-129 result in case my spouse gets stuck with 221g? 3) How long will I have in case his visa gets rejected at the interview. (Worst case scenario) I have heard so many bad experiences and want to cover every scenario and want to prepare myself accordingly thats why the question. Please suggest. Thanks. Experts, Has DHS published any rule on H4-EAD? Once they decide to do away with the EADs for H4 holders, what will happen to existing valid EADs? I did apply for COS to H1B but apparently its taking 8 months to get an answer, there is no premium available, hence the question? Employer has submitted purchase order & SOW with the petition, I was wondering if USCIS need the client letter to approve or will PO & SOW will suffice? I checked with the employer, he says we are good to go and dont need any other document. Working at a client on Employer-Client (EC) model. H1-B transfer filed. All docs submitted. The client is not giving any sort of letter, they say with EC model it is not required. Please advise if this is true. Is it safe to go for H1-B stamping these days anywhere? I have a MS in Software Engineering and working on an EVC model. I have clients letter and all other related documents but I have heard that there are problems in H1-B stamping these days. Came to US in June, 2013 on F2. My employer filed H1 which got approved starting 10/01/2014. I have been working for the same employer ever since. I recently got an approval for extension valid till 2021. I have an approved I-140 as well. Can I go to Toronto for my visa stamping. I have never travelled outside US after arriving in June, 2013. I have a MS in Software Engineering from Sweden. Please advise. Experts, My H1b application extension and spouse's h4 application filed together. I have the FEDEX delivery number, it says it will arrive in Lincoln, NE. This is for the employer in MI. Has the package been sent to the right location. Please let us know. Client is the same, employer same, salary same, job duties same. But I was moved from one building to another which is just a block away from original building (LCA filed for this address). The team is different and client is doing this as the cost center on their end needs to be changed to pay for my services. Is there a need to file an amendment? Approved H4 till May 15,2018, working on EAD. Company applying for H1-B, petition filed. Can I travel outside country and come back on H4 before may, 2018 and before H1-B result? Thanks. My H1-B expires May 15th, 2018. 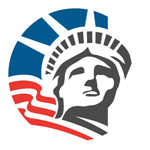 I want my renewal docs to reach USCIS December 18th (Monday, first day I can file renewal). In order to do this, Can we file an LCA , December 6th, will be approved by December 14, we send docs on 15 and it reaches on 18th? Can this be done or should the LCA be also filed under 6 months? Leaving a job and going to a different one. Experts, i am a MI resident with H4EAD. I am working as a consultant at a firm. I have gotten another job ata different firm and I have put in a notice for 2 weeks and 2 days. Can my current employer cause any damage legally for leaving the job. Thanks. Hello All: I was on Company A's H1-B till April, 2017, this was approved in 2014. I needed to quit my job as I had to go to India. I came back on H4 and now Company B is wanting to file my H1-B. Meanwhile when I was in India, company A revoked its H1-B application for me. Q 1) Will this be a cause of concern for filing H1-B from company B? Q 2) Will this H1-B filing from Company B be cap exempt? Thanks. Experts, My H4 EAD application is in process. Can my spouse (the H1-B holder with I-140 approved) change the client and apply for amendment before my EAD gets approved/denied? Thanks for your valuable inputs!